I was sent an article, written by Jesse Stanchak, that paraphrases (there’s that word again) Scott Monty’s “social storytelling lessons” speech at NMX Las Vegas. Monty has spent the last four years as Global Digital & Multimedia Communications Manager at Ford (a Gold Sponsor of NMX). The article, and presumably Monty’s presentation, shares 4 principles about developing a good branded content strategy. I found its simplicity refreshing and its take-aways very similar to the content philosophies we employ at Tippingpoint Labs. Many brands are afraid to let their customers write about their products. They are afraid to give up control. This is as much a product development problem as it is a social media one. If brands stand behind their products, their customers will as well, and some may even become evangelists. It is important to hear from your customers not only through feedback and customer service, but also through open and honest communications on social media. Don’t be afraid of opening up content creation to non-employees or vendors. Embrace it. Ford did not wait for a trade show to unveil a new model of the Ford Explorer. In fact, they first engaged fans months prior to the launch. This kind of engagement brings your most loyal fans into the fold and makes them feel heard and appreciated. Creating mini-advisory groups online to act like a sounding board is not only a wonderful way to keep your advocates loyal, it also provides invaluable insight about the brand, the product, and the launch messaging that can be the most effective. At Tippingpoint Labs, we call this the Galilean Model. 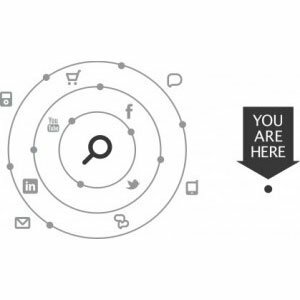 Your website is not the center of the universe, search is. There is no more “if you build it they will come” mentality. Consumers have platforms they rely on for consuming content – Hulu (as Ford discovered), YouTube, Vimeo, iTunes, Twitter, Facebook, etc. As brands, you must find the platforms that are engaging your audience now and become relevant there. 4. “Be willing to experiment and learn from mistakes”. This is a tough pill to swallow at times for brands looking for a sure thing or quick viral hit. We talk about the idea of approaching your social media efforts as you would a diversified stock portfolio. Put a portion of the dollars and resources where you have proven success so the results can be somewhat projected. But spend dollars to diversify and take risk and, as Monty says, experiment. Try new things with these dollars. Learn from the experiments, both the good and the bad, and apply those learnings within your next social media mix. Although I did not have the pleasure of hearing Monty speak, I am thankful for Stanchak’s recap. Now, whose turn is it in the game of telephone?